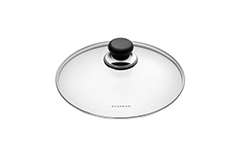 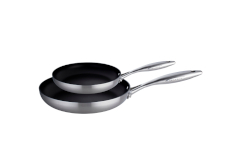 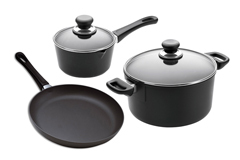 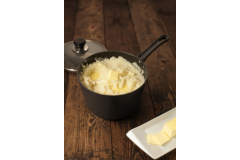 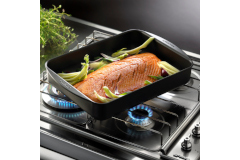 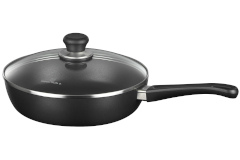 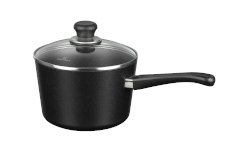 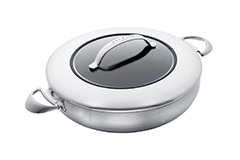 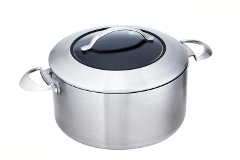 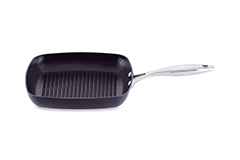 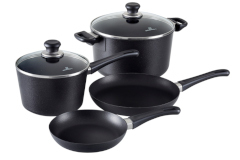 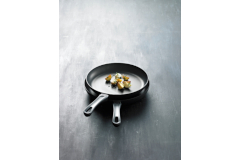 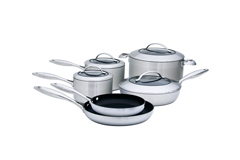 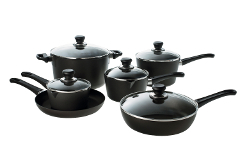 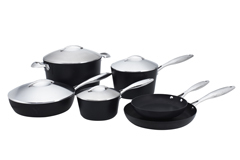 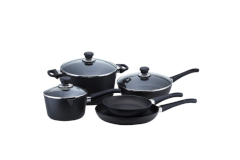 Scanpan focuses on solid construction and design to bring professional cookware to your kitchen. 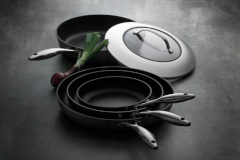 They use hand cast aluminum with a ceramic titanium coating, all which are cast in Denmark. 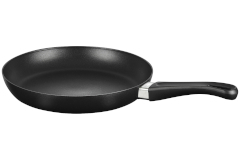 The coating is totally free PFOA and PFOS free. 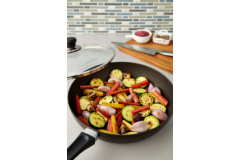 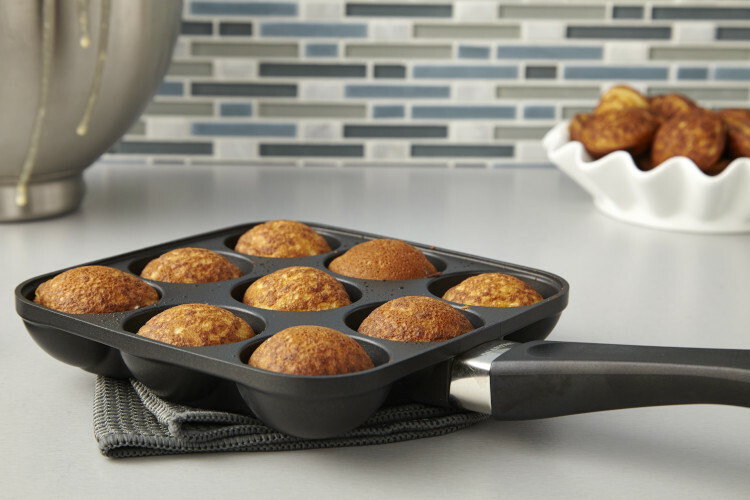 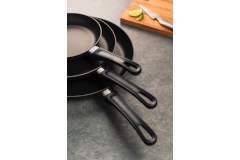 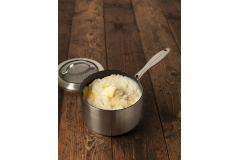 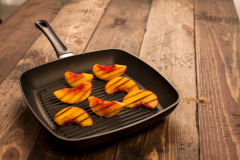 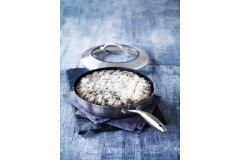 Scanpan makes a full line of products including stainless steel, copper and specialty products all with their nonstick coating. 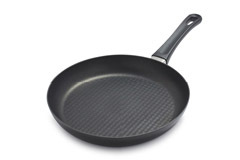 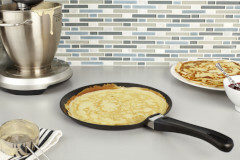 Scanpan uses 100% recycled aluminum to make its products.